Designed for kids. Made strong for adults. Classic and custom designed wood playsets. King of Swings provides fun, safe and enriching outdoor play solutions. We specialize in the designing, manufacturing and installing high quality, classic and custom outdoor play equipment at a competitive price. 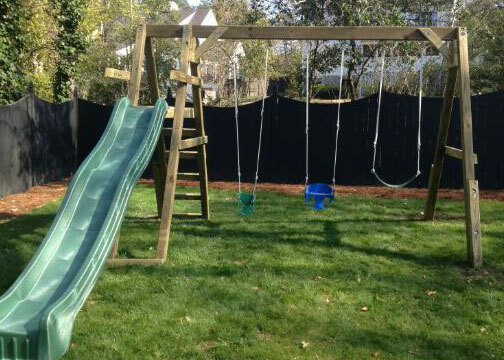 Our playsets are custom built to order with delivery and in-ground installation included. Kids, bring your parents, because there’s lots to play with in our showroom. Check out our sets below! 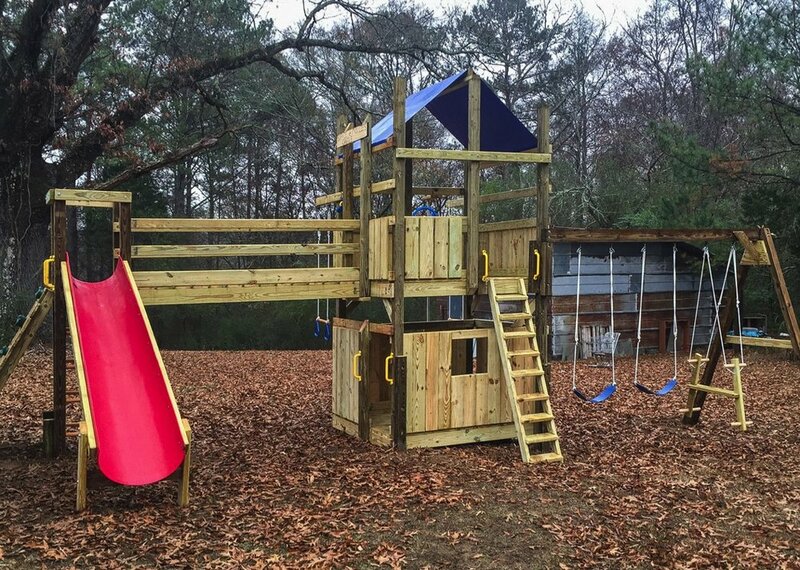 We are one of the oldest and largest manufacturers of playsets in the Atlanta metro! Our prices are more competitive than any other company - with our quality being second to none - because we are the manufacturer, not the middleman! More structurally sound than above-ground installations - your playset stays put when your kids swing! The photos you'll explore here hardly scratches the surface of what King of Swings can do. We have no kits and our modular designs mean that even a simple set can have dozens of possible configurations! To put it simply, if you can imagine it, we can build it!